Bishop Noll seniors Michael Akanni, left, and Nick Wichlinski will head to Purdue University in West Lafayette his fall on full scholarships. Carrying around heavy bags over acres of hilly terrain in the middle of summer may not appeal to most high schoolers but two Bishop Noll Institute seniors will head to Purdue University this fall on full scholarships thanks to their hard work and determination on the golf course. Michael Akanni and Nick Wichlinski have both been awarded the Chick Evans scholarship for golf caddies. The scholarship is a full tuition paid and housing scholarship that is renewable for four years as they attend Purdue University West Lafayette. To qualify, caddies must meet the requirements of having a strong caddie record, excellent academics, demonstrated financial need and outstanding character. Akanni's sister was awarded the scholarship in 2015 and he wanted to follow in her footsteps. "I started caddying the summer of my freshman year at Briar Ridge Country Club. I continued to caddie my sophomore and junior summers at Flossmoor Country Club. I worked hard to get good grades and volunteer wherever I could. I was inducted in National Honor Society. I was also part of a group called the National Order of Trailmasters where I helped young African American boys become kind, respectful, and chivalrous men." Akanni has a visual disability, which made caddying especially difficult. "I had to overcome more challenges than most on my scholarship journey. There were many times where I felt like the hardship wasn’t worth it; however, I was persistent and constantly told myself that anything worth doing will be challenging. I hope people use my story as a glimpse of hope when the feel down, especially to those who have problems caused by their own disabilities." Earning the scholarship makes him feel like all the hard work was rewarded, he said. "While some say that because I got the scholarship, I can go to college for 'free,' I do not see it that way. I’ve paid my time and made numerous sacrifices to put myself in my current position. It also means that my parents have succeeded in putting two of their kids through college with no student loans. 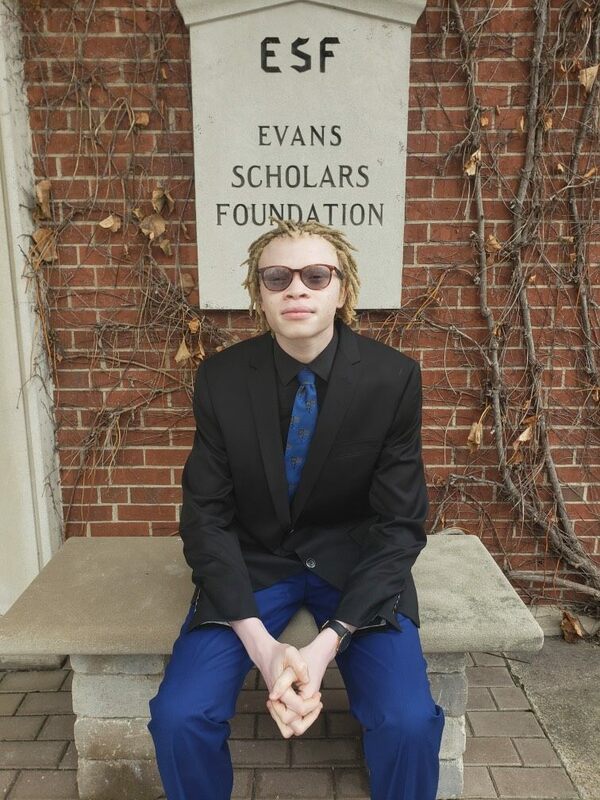 I always knew the college would be the next step for me after high school and the Evans Scholarship made this a reality." Akanni grew up in Calumet City and moved to Hammond at the start of high school. He is a St. John Bosco graduate. He plans to live in Chick Evans housing and study cyber security. 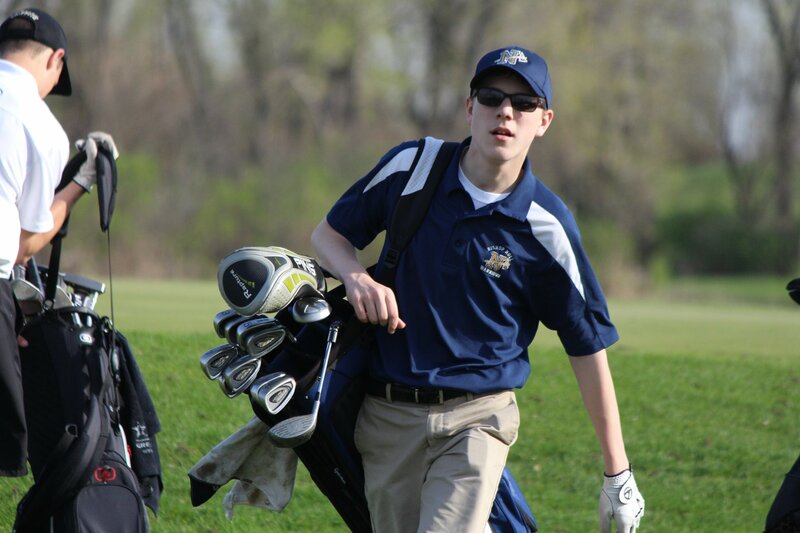 Wichlinski has enjoyed playing golf at Noll and has made many memories. "One of my best golf memories was a match last year. The wind was like nothing I had ever been in. We still had to play the match with winds that were at least 20 mph." Wichlinski also played varsity on the state champion soccer team. "That experience that we had down in Indy is something that I will always remember," he said. In addition to playing sports, he was a member of the Athletic Council, a National Honor Society member and Student Ambassador. Wichlinski is from Griffith and an alumnus of St. Mary's in Griffith. He is the son of Bishop Noll alumnus Thomas, Class of 83, and Tricia Wichlinski. 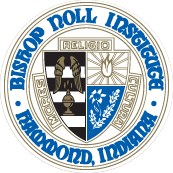 "My dad always wanted me to go to Bishop Noll, but he also made it clear that I could choose any other high school. I knew I wanted to come to Noll after the open house and shadowing at the school. I am so happy on my decision to come to Noll because I don’t think I would have fit in better at any other school."